As a caregiver, your primary goal is to help keep your senior clients safe and healthy. Do your responsibilities end there? On the contrary, your job is just beginning. Another important key aspect of caregiving is to help the seniors in your care maintain their dignity and self-respect. How can you do this? And how can a homecare system or homecare software program help? Although it is easy to slip into the role of provider and protector when caring for the elderly, it is imperative to remember that your senior clients are still capable of making decisions about their care, routines, and life in general. Allowing the seniors in your care to make their own decisions, or at least have their say, is an important part of helping them maintain their dignity. Our need for respect and dignity does not diminish as we age – in fact it grows even stronger. When it comes to personal hygiene, seniors may feel nervous or even ashamed that they require assistance. As a caregiver, you should do everything you can to help your clients avoid feeling uneasy during these situations. Preparation for this can begin even before your shift. With a sophisticated homecare system or homecare software like ClearCare Online, caregivers have access to each client’s personal assessment and care plans, which will include details about what level of assistance is needed. Your homecare software can tell you if your client prefers to be partially covered with a towel while she bathes, or if she wants to be undressed one article of clothing at a time. Take notes in your homecare system of what helps calm her nerves so that other caregivers are aware. Knocking before opening a closed door. As circumstances and situations permit, stand aside when a senior is using the toilet – or in another room if possible. Ask if he prefers a running conversation during bathing or dressing, or if he’d like silence. Note his preferences in your homecare software. Ask for his opinions and listen to his concerns. Communicate any issues or problems to family members or other care team members using your homecare system. Don’t ever talk about him to another person as if he is not there. Caring for the elderly means more than preparing meals or dispensing medications. 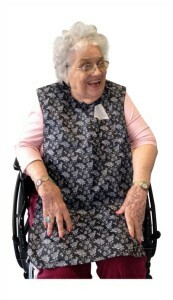 As a caregiver, you are also responsible for helping your senior clients maintain their dignity. To learn more about how an innovative homecare system and homecare software like ClearCare Online can make your job easier, call 1-800-449-0645.